As a Roblox developer, it is currently too hard to discern differences between previous versions of our place files. All it shows is a number and a date. 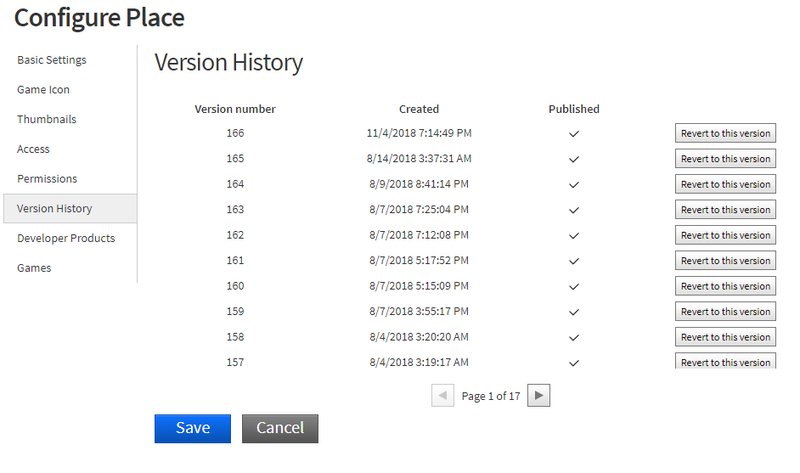 When making multiple updates in a small time frame (even as long as a day) it is very difficult to figure out which version is tied to which updates. Ideally, one would want as fully fleshed out a version control software as already established tools such as svn or git, with equally useful web-facing displays (github, gitlab), but I believe a good first step would be to allow and enforce “commit messages” (tags) when publishing a place file. This would allow developers to tag each version with a small message in order to easily manage different versions.